My wife asked me to grill on one of the hottest days this summer. She didn’t have to twist my arm that hard. 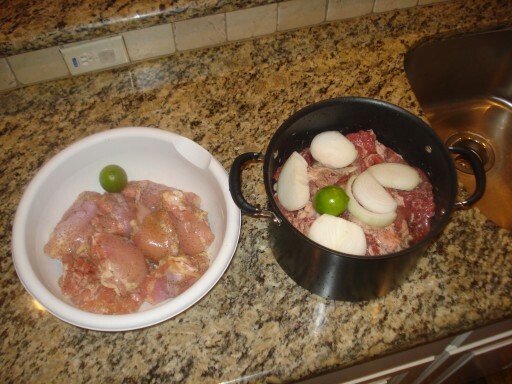 I decide on fajitas and chicken thighs. 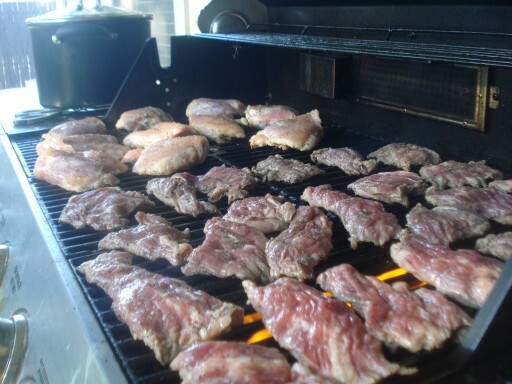 These meats are one of the first things I learned to prepare, season and grill. Living in Roanoke there is not a Carniceria (mexican meat market) nearby, but I don’t mind the 30 min drive to Haltom City. Guys and Gals if you want to do fajitas, trust me, purchase at your local Carniceria. 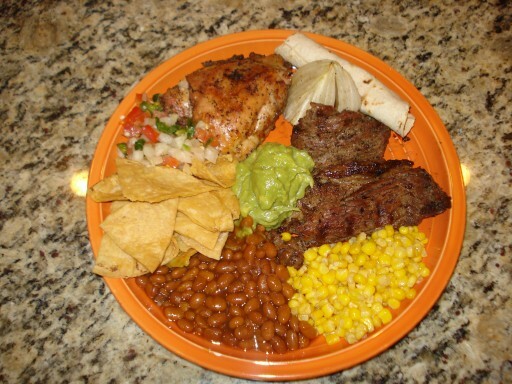 I know it sounds intimidating but you will find the fajita meat to be second to none. 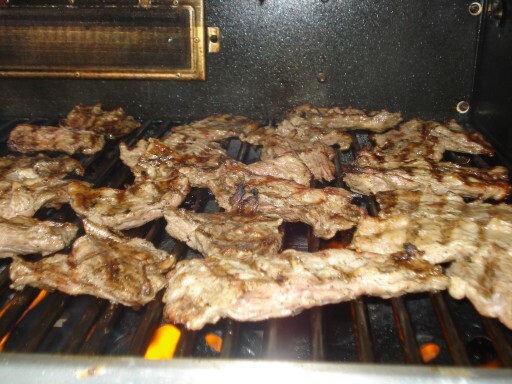 If you do decide to grill fajitas you will soon find out how easy they are to grill just add your favorite fajita seasoning and on to the grill for a few minutes on each side. P.S. dont forget the limes. 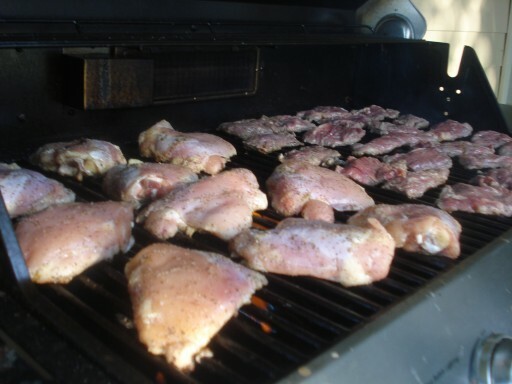 As for my chicken thighs, can anyone say “Award-Winning”? I would love to share my recipe with you but I don’t know you that well yet, so maybe in the future. 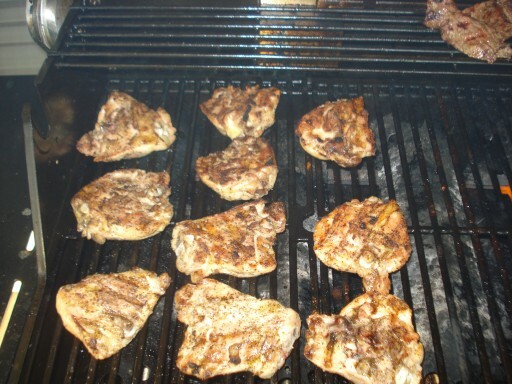 I love to grill, especially during the week. 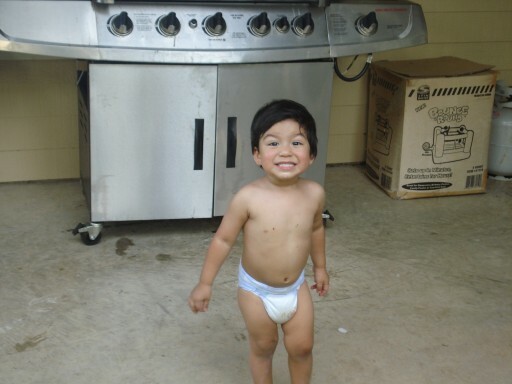 My son Dallas Mateo loves to hang out with his dad near the grill and utter “HOT daddy, HOT daddy”. Yes son one day you will be a BBQ Warrior. 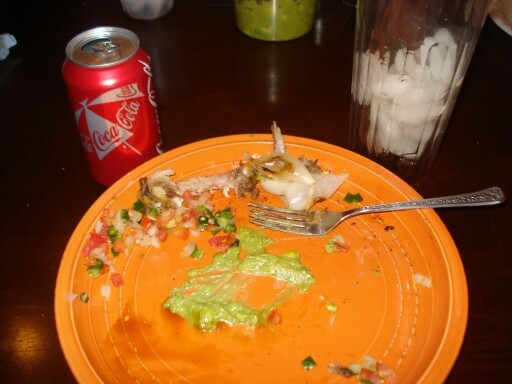 3 Responses to Just another Fajita night! Holy smokes! Those looks so dang good. I’d venture to say that’s the tastiest looking meal I’ve seen on BBQwar as of yet. Wow! That looks seriously good eats. Can I get the step by step recipe I’d like to try this on my Traeger.